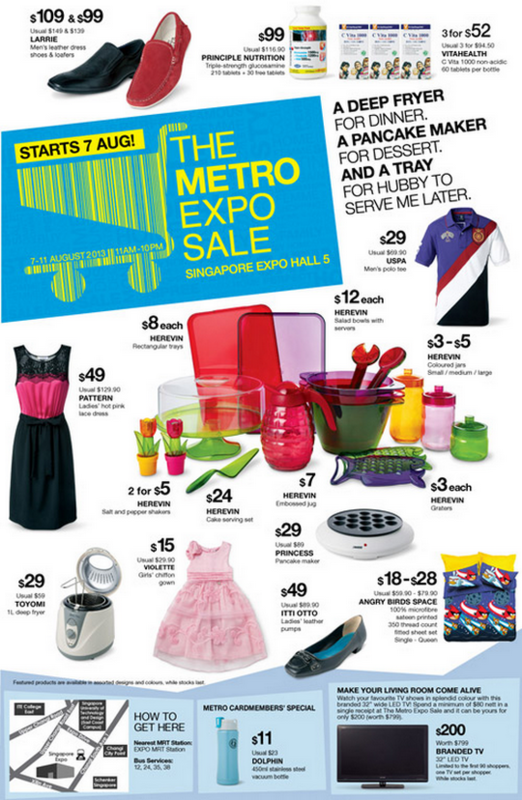 THE METRO EXPO SALE starts from 7 – 11 August 2013, 11am – 10pm! Don’t miss out on great deals this long weekend! Shop ladies’ & men’s fashion, household items & many more at Singapore Expo Hall 5. Spend a minimum of $80 nett in a single receipt and get a branded 32” wide LED TV at $200 (worth $799) only. Limited to the first 90 shoppers, one TV set per shopper. While stocks last.